Durham County Council is asking the public to have their say on new enforcement powers to help protect our parks and open spaces against irresponsible dog owners. From Monday 12 September until Monday 5 December, people are being encouraged to let the council know their thoughts on plans to implement a countywide Public Space Protection Order for Dog Control. “We’d like to thank the overwhelming majority of dog owners who are responsible and clean up after their pet and respect other people when out and about with their dog. 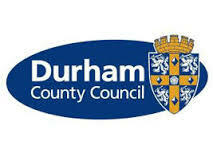 As well as not cleaning up after your pet, the proposals would also see it made an offence to allow a dog to stray, to fail to put a dog on a lead when told to by an authorised officer, or to allow dogs in Durham County Council owned fenced off play areas. These offences, if breached, would warrant Fixed Penalty Notices of £100, or £60 if paid within ten working days. If agreed, the order would come into force in 2017. It will be valid for three years and reviewed again after such time. Under the current Dog Control Order, only people who don’t pick up after their pet can be issued with a Fixed Penalty Notice of £80, reduced to £50 if paid within ten working days. People can take part in the consultation by completing an online survey at www.durham.gov.uk/consultation before Monday, 5 December. Paper copies are also available by calling 03000 265 586.